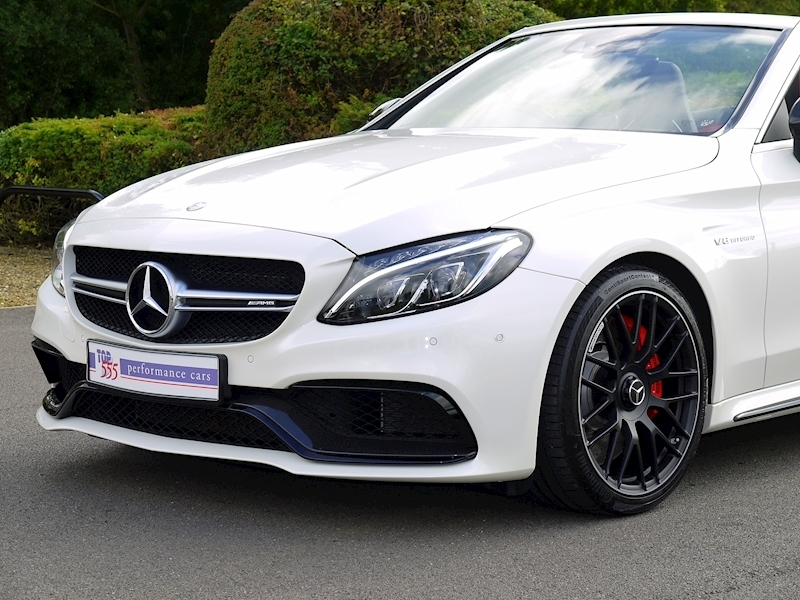 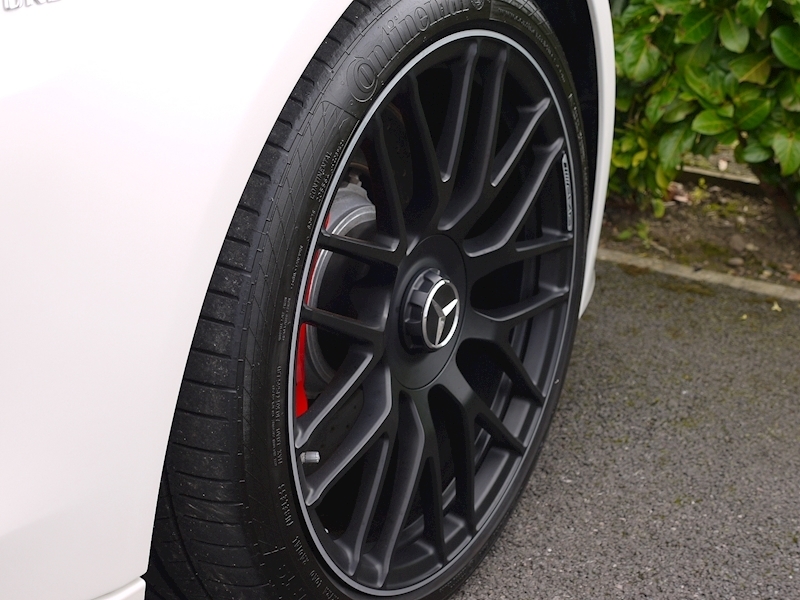 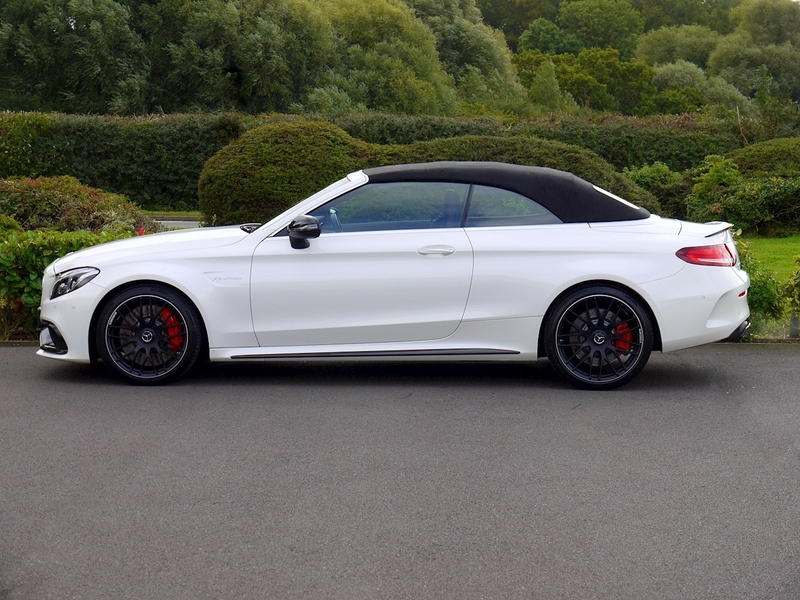 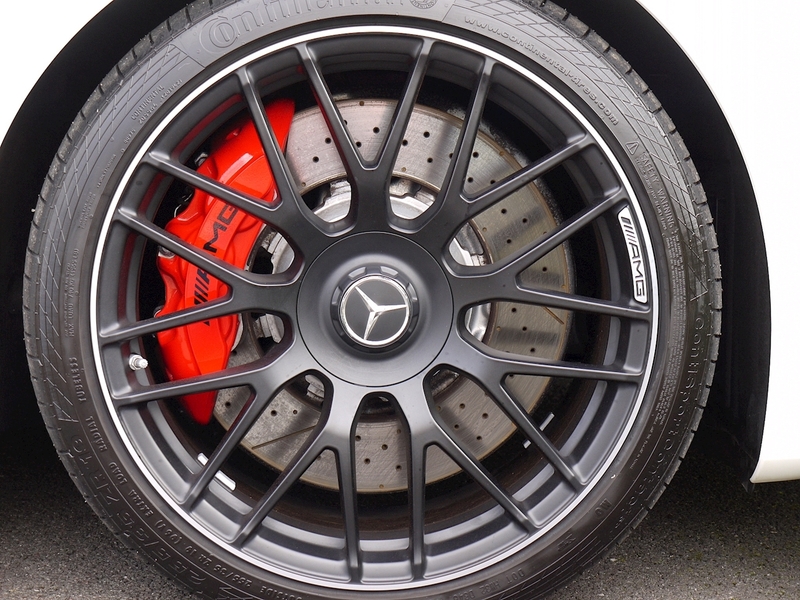 19"/20" AMG Forged Alloy Wheels - 10 Spoke Design in Satin Black with Red Brake Calipers. AMG Carbon Fibre Interior Trim. 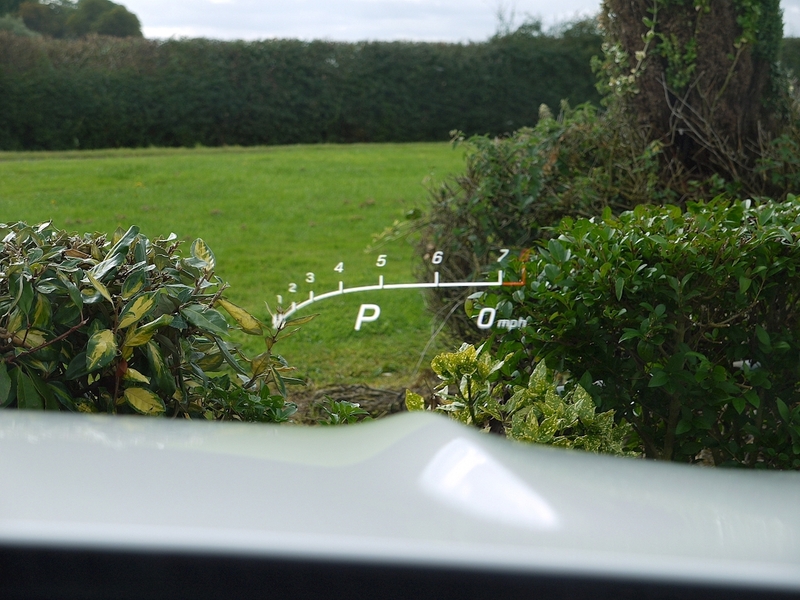 Head-Up Display (HUD). 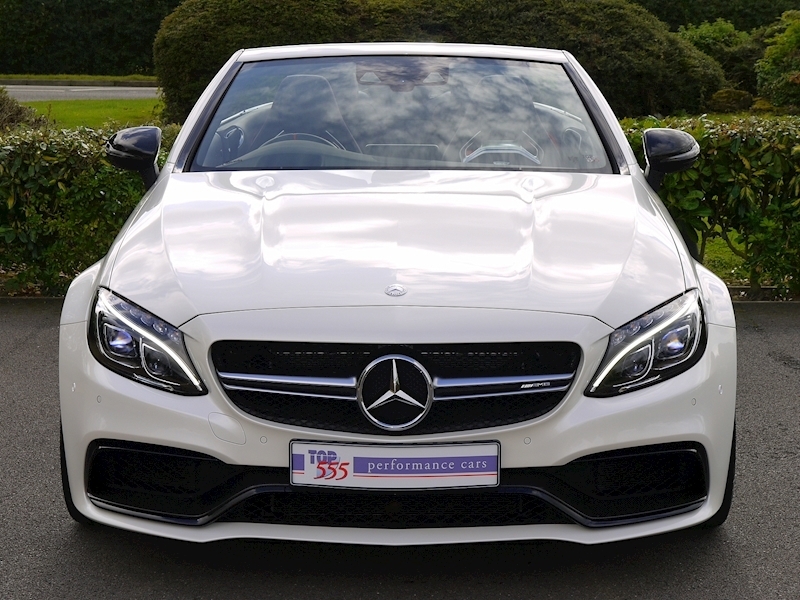 Premium Package - Adaptive Highbeam Assist Plus, LED Intelligent Light System - High-Performance Headlamps. 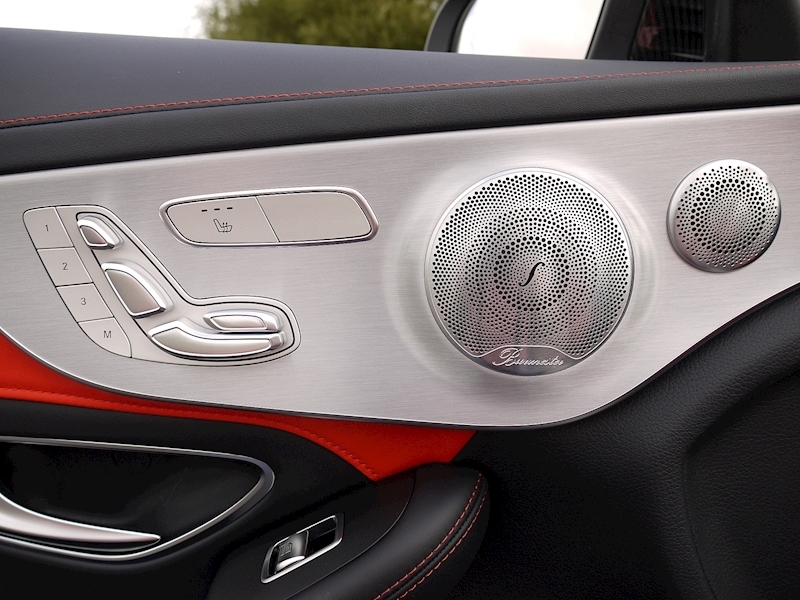 Burmester Surround Sound System. 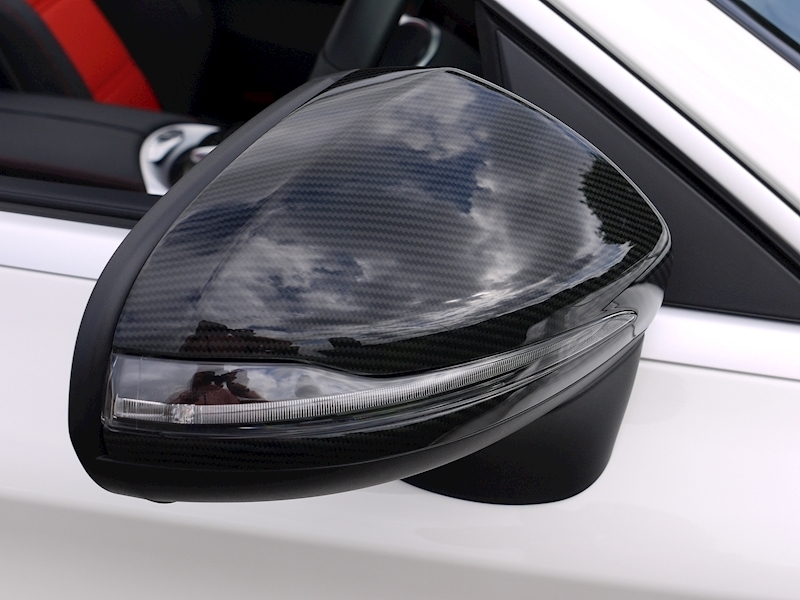 Dashboard and Beltlines in ARTICO Black Nappa Look Leather. AMG Exterior Carbon Package I - A-Wing in front apron in carbon fibre, side sill panel inserts in carbon fibre and above rear diffuser in carbon fibre. 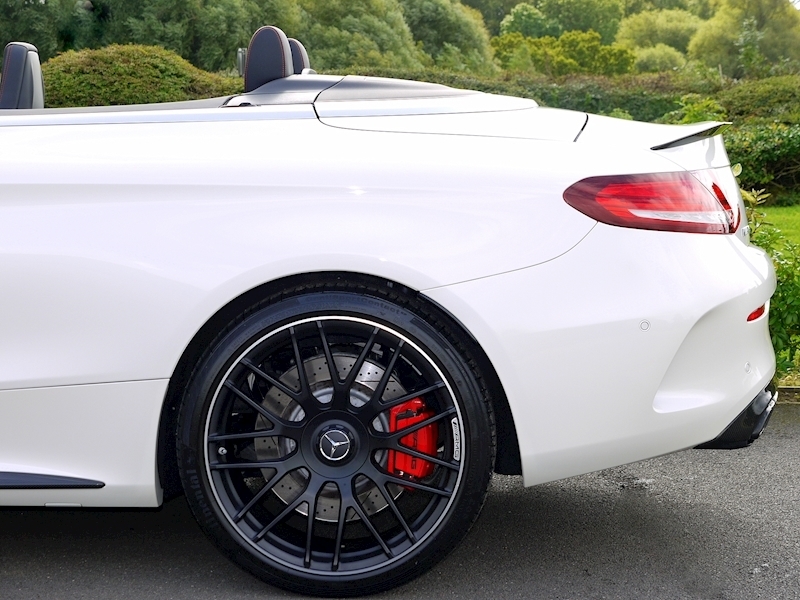 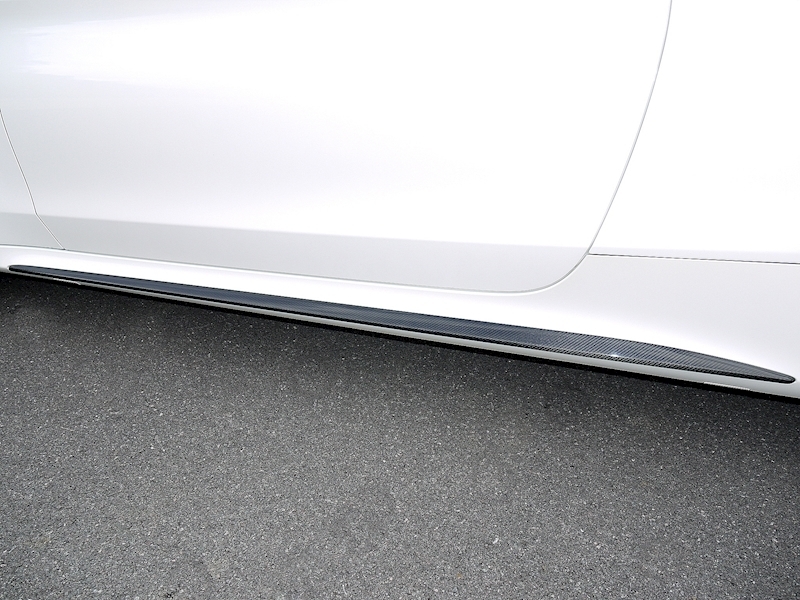 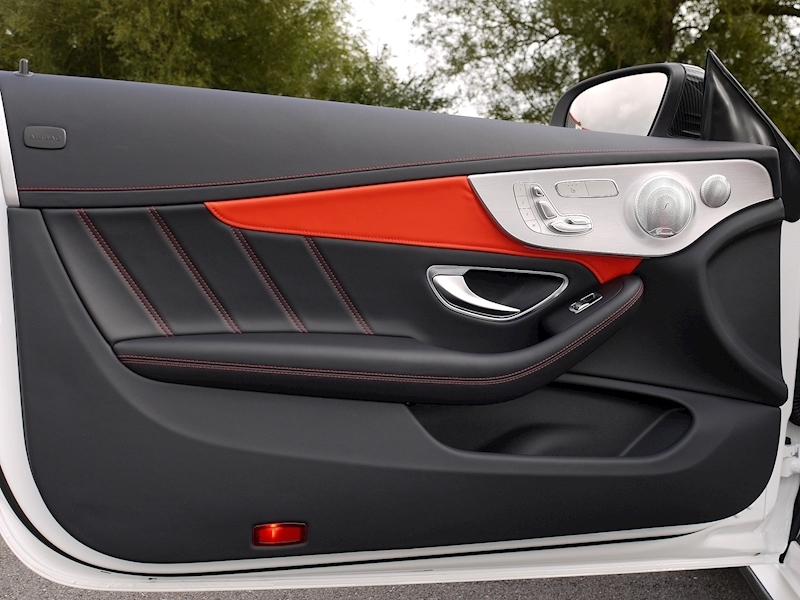 AMG Exterior Carbon Package II - Exterior Mirror Housing and Spoiler Lip in Carbon Fibre. 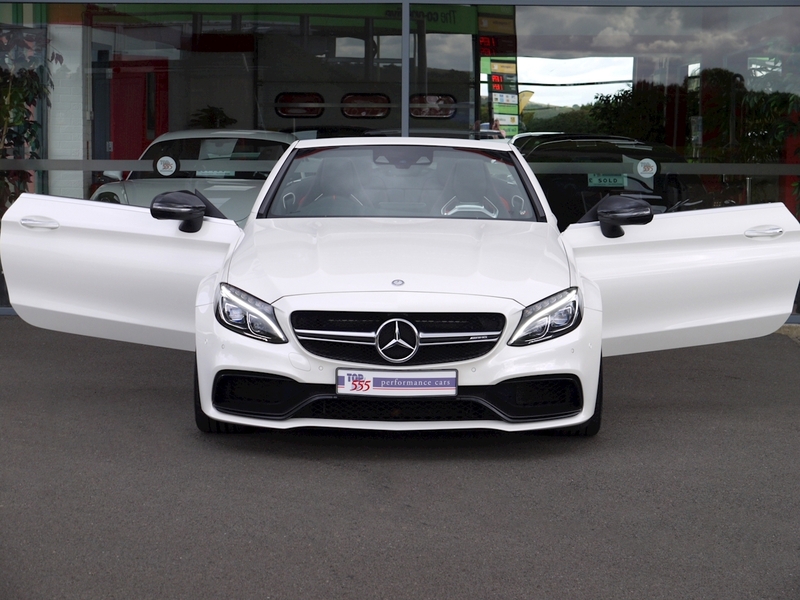 AMG Night Package - High Gloss Black A-wing, High Gloss Black AMG Side Sill Panels and High Gloss Black Exterior Mirror Housings. 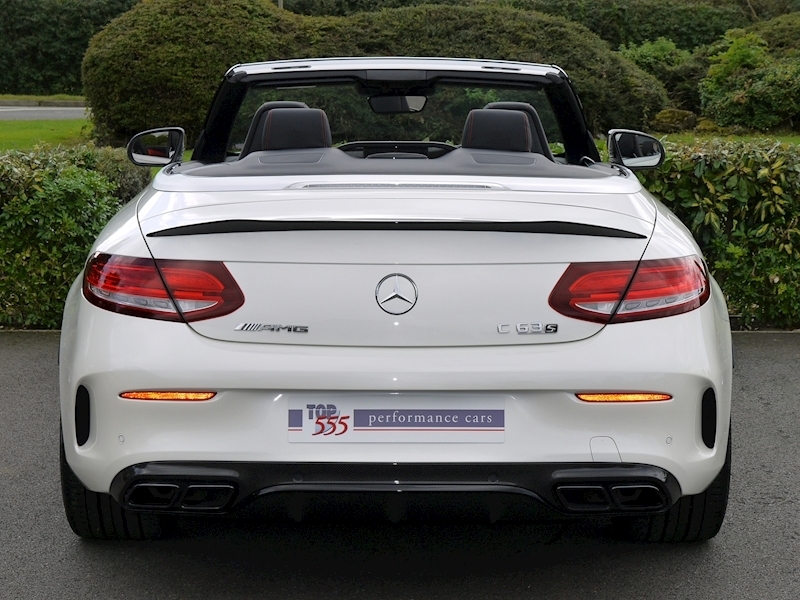 Black chrome-plated tailpipes. 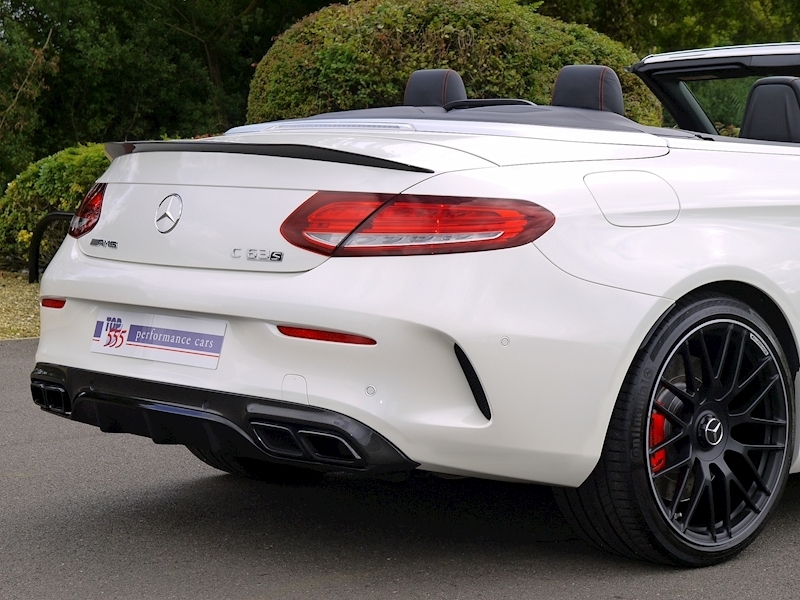 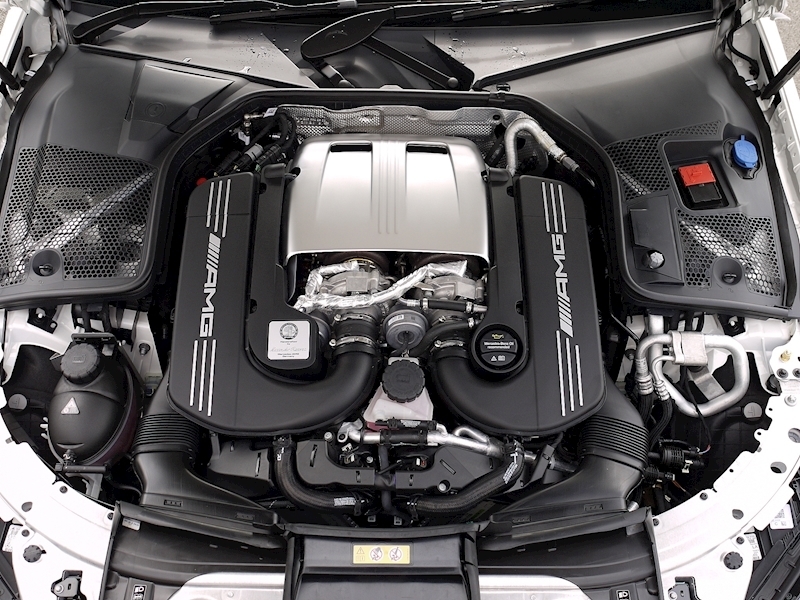 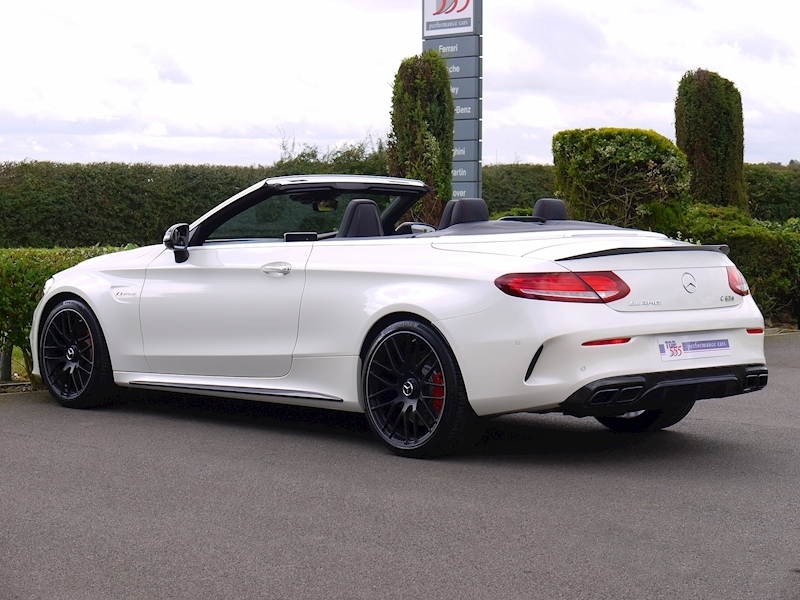 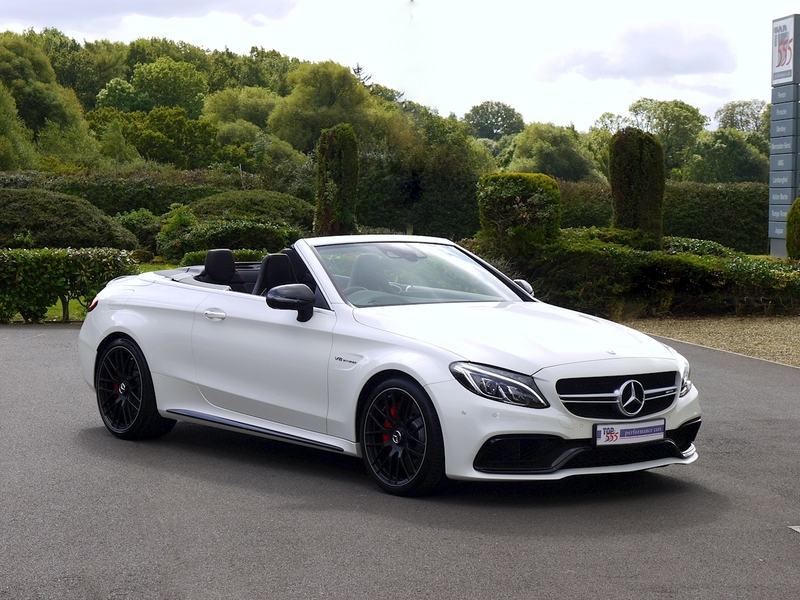 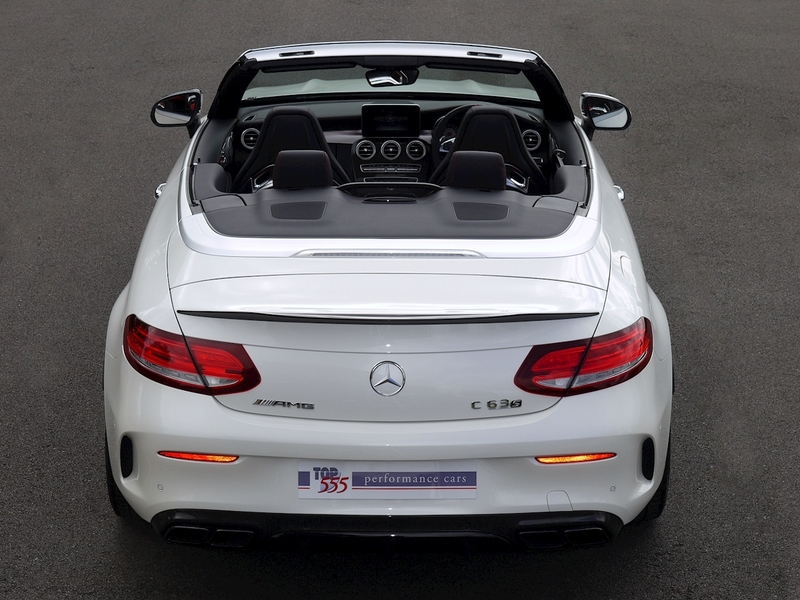 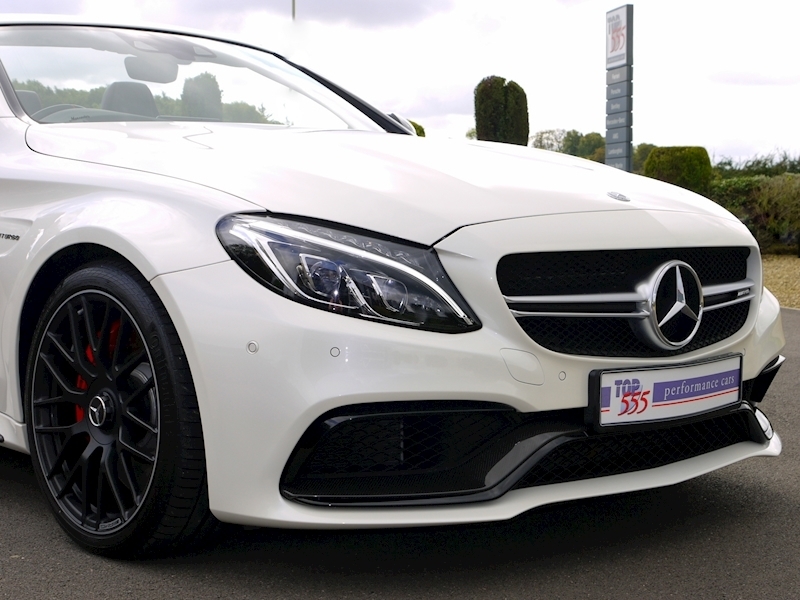 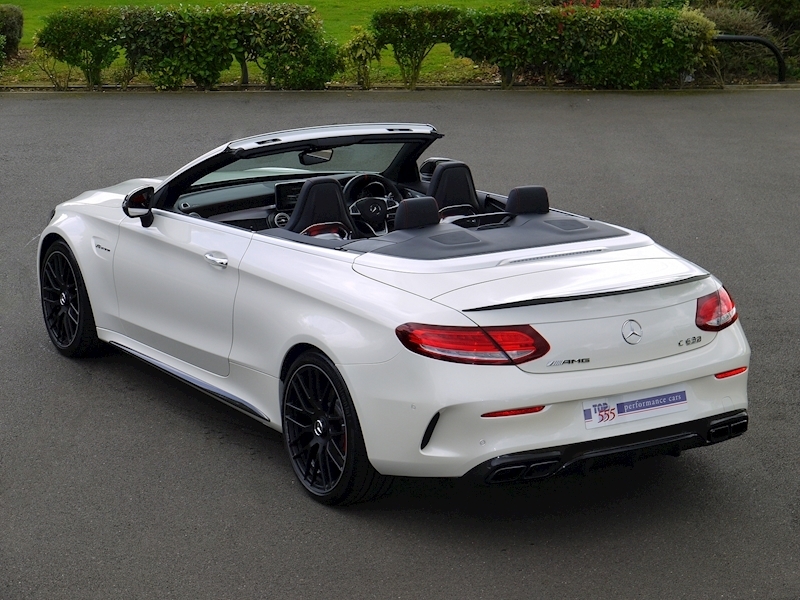 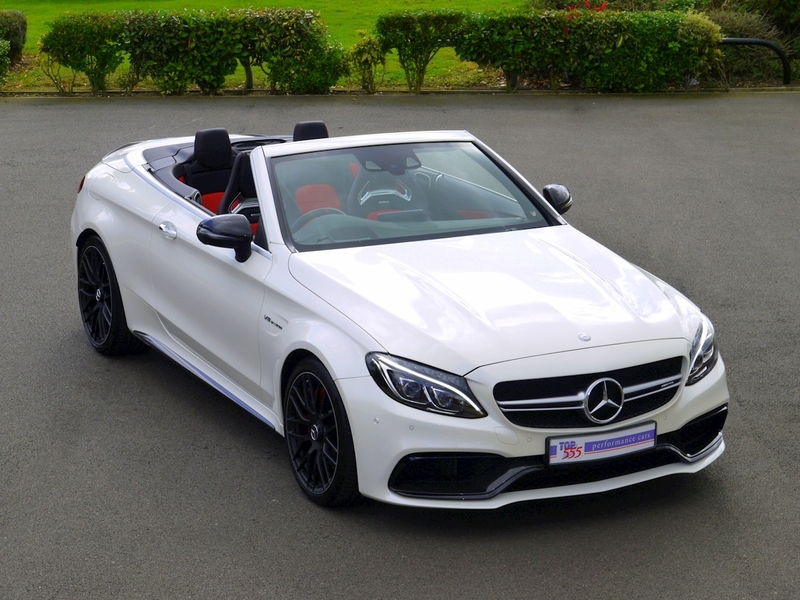 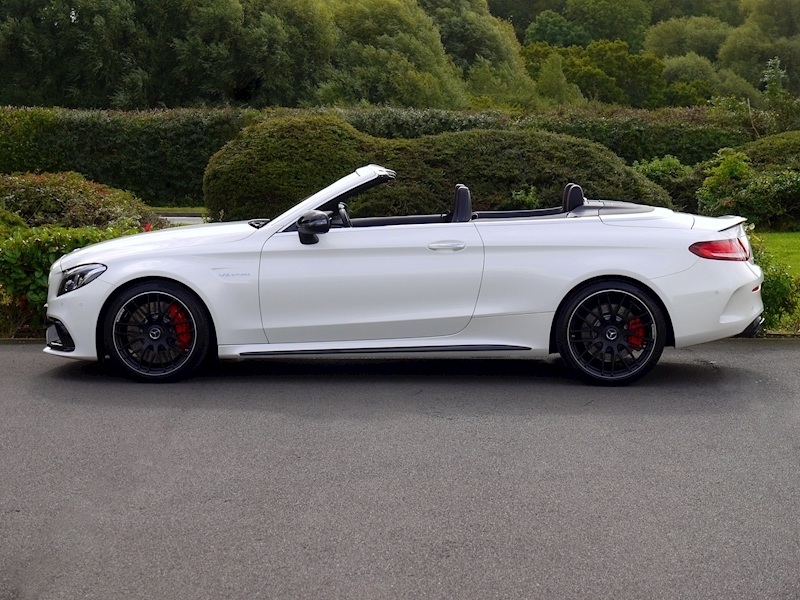 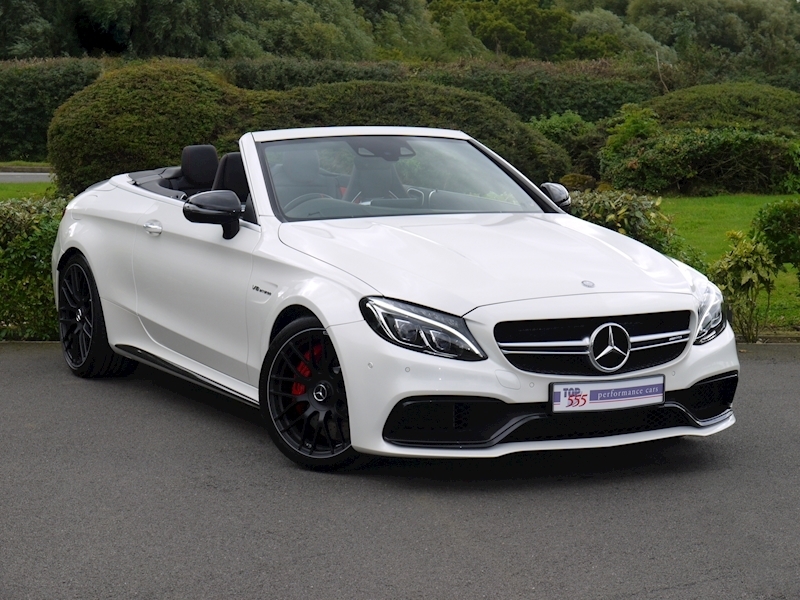 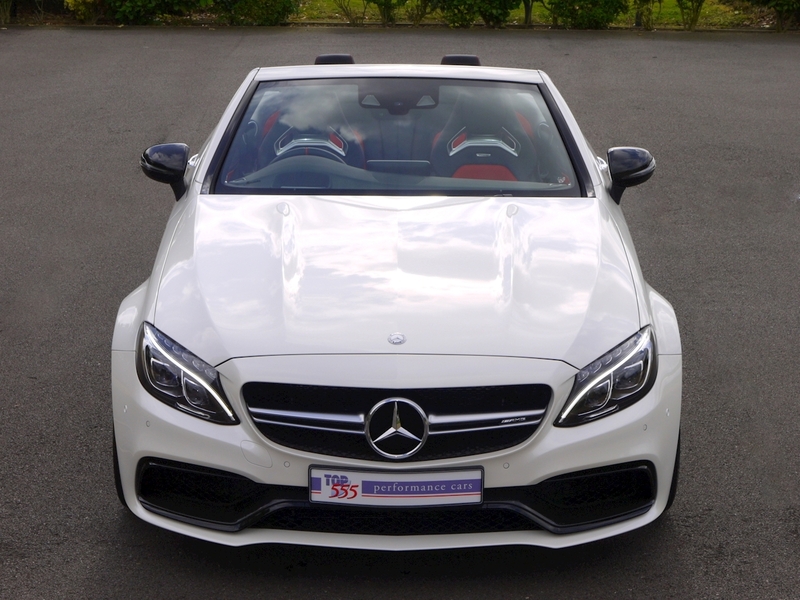 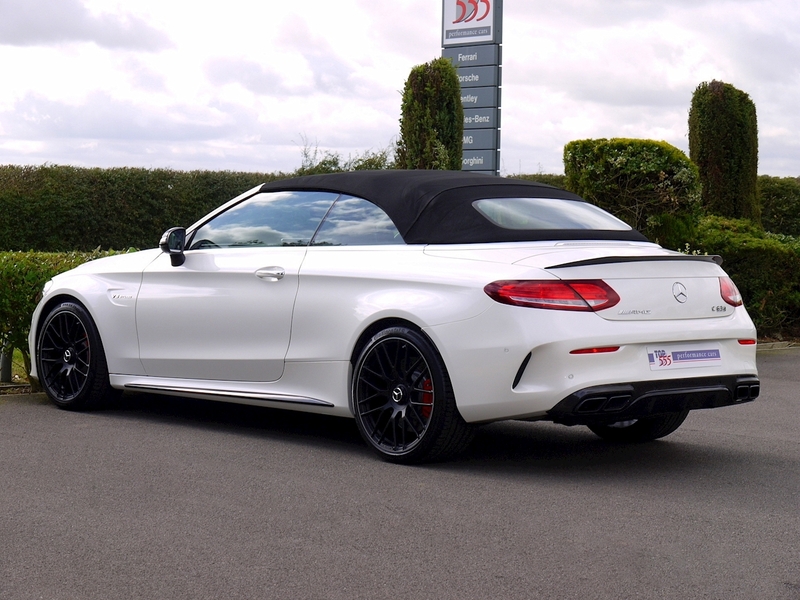 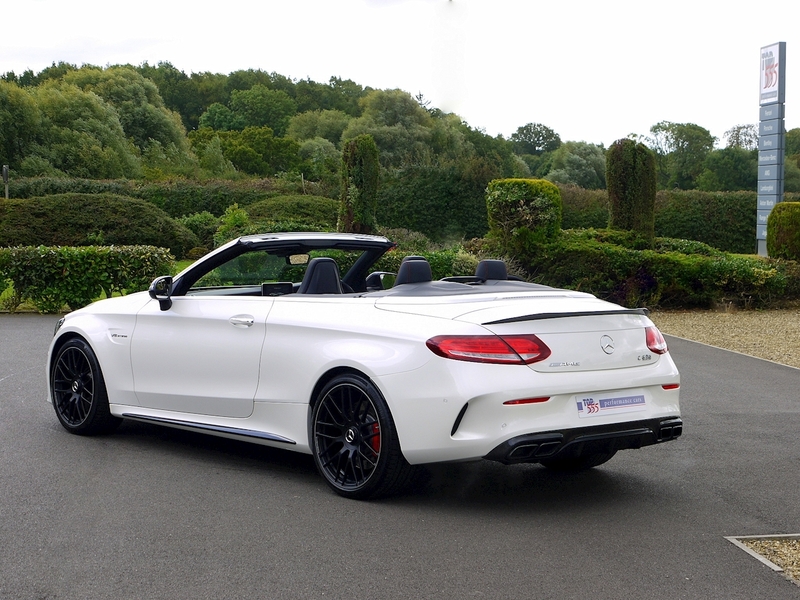 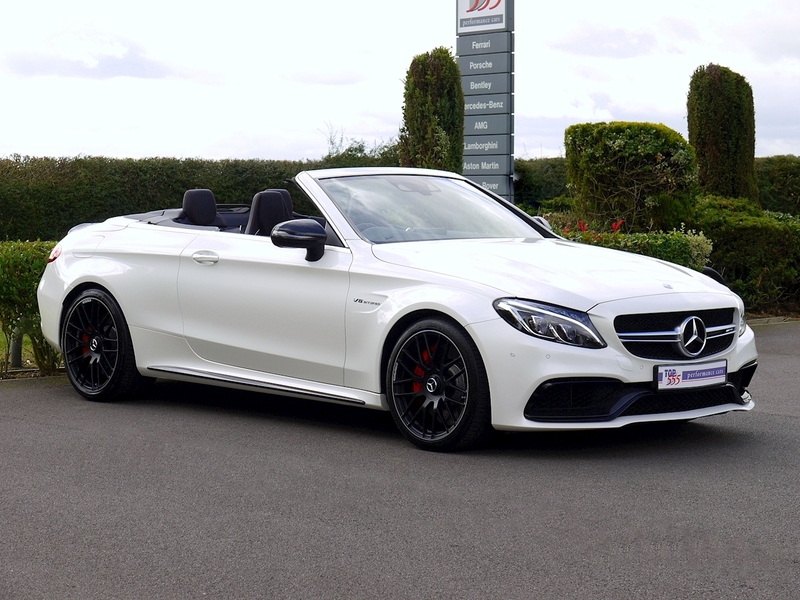 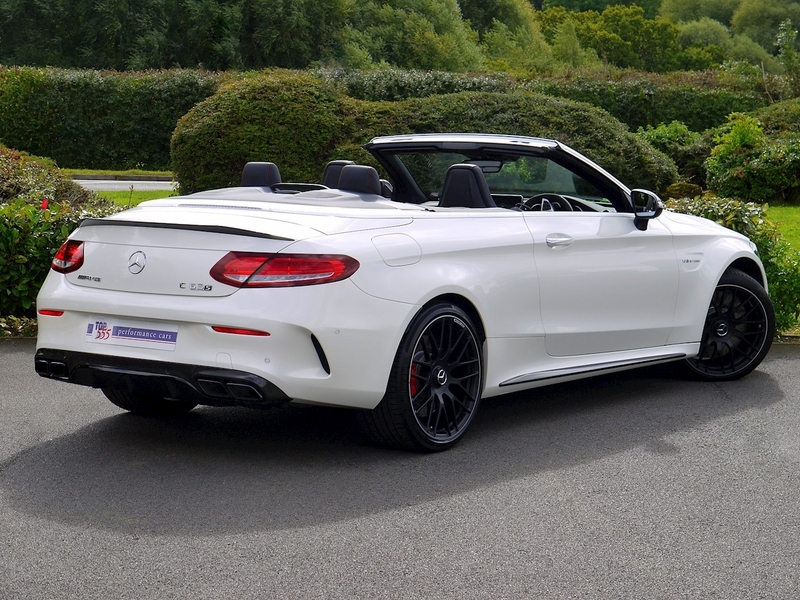 A Huge Specification C63S AMG Cabriolet.